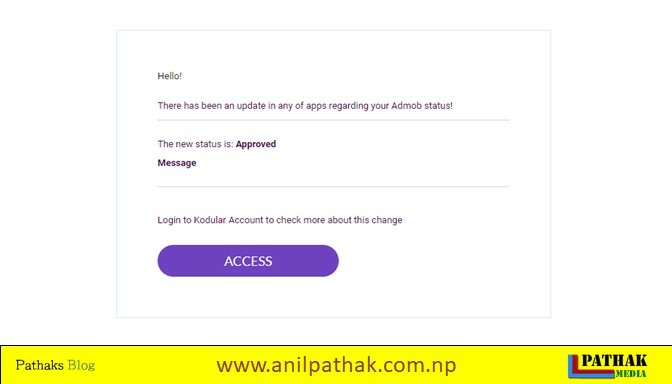 Hey kodulars, if you are making android aplication in kodular and monetising your application with admob, then you might be facing the problem of admob ads not showing in your kodular application, then here is an update. People have been searching for admob ads not showing up android,ads not showing admob,admob not showing ads. If your application is published on the google play store, then your ads will be displayed. But, if your application is not published on google play store, then also you can show admob ads on your application. kodular has just updated its platform where creators has to submit their application for the review. You should request kodular to show admob ads. If you do not violate any policies then the ads will be served on your application. There are lists of your application and the admob ads status. Simply click on the request button. Then tick mark on the suitable options. Now provide the description of your application of more than 250 characters. Then you will receive the email regarding the ads status. Else you can check your status and kodular admob panel after 24 hours of request.